Trucks are in demand; in fact, smart shippers know there aren’t enough trucks (or drivers) to handle the loads out there. And peak season is just beginning. The economy is strong, the driver shortage continues, and according to the Wall Street Journal, high freight costs are impacting profits of big companies like Coca-Cola, Hasbro, and Nestlé. There’s no sign that any of this is going to change soon, and carriers are enjoying the benefits. Smart shippers who see the writing on the wall are looking for better ways to secure capacity. Logistics experts, too, are considering how shippers can mitigate rising costs and tight capacity. In a recent episode of Talking Logistics, Adrian Gonzalez, in conversation with Anthony Vitiello from UltraShip, reminds us that when capacity is tight you always hear discussions about the importance of being a shipper of choice in the eyes of carriers. So what does it mean to be a shipper of choice, and why is it such a hot topic? The central concept behind the terminology “shipper of choice” is that the most carrier-friendly shippers will be first in line for available trucks when capacity is tight. Over at Freightwaves, they’ve come up with an infographic: Top 5 Ways To be a Shipper of Choice. The list includes fast and accurate pay, elimination of driver detention, clear and regular communication, flexibility, and cultivating strong relationships. This list is a good start for smart shippers to differentiate themselves from other shippers. But here at AM Transport Services, we believe that being a shipper of choice isn’t going to be enough. 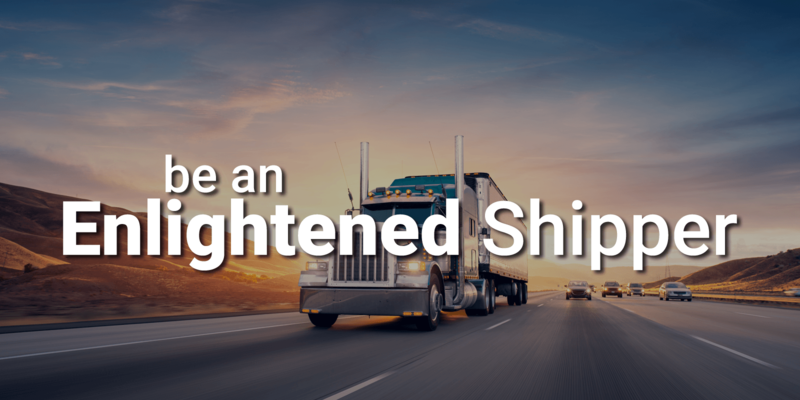 We know that a shipper’s best bet in a wild market is to partner with a 3PL positioned to enhance a shipper’s best qualities and create benefit where there are deficits. You see, a great 3PL will have vast resources, a deep core carrier base, relationships all along the supply chain, and technology. Here at AM Transport, we don’t just help you become a shipper of choice, our experience, customer service, and wide array of tools give you the leverage you need to become an enlightened shipper–smart, savvy, and willing to go the extra mile—a shipper carriers will vie to work with. How do we do help smart shippers? We bring our 30 years experience in the logistics industry to the table! On changing or expanding shipping times to accommodate carriers. On providing truck parking solutions when possible. On techniques for driver friendly facilities–clean driver lounges and restrooms, courteous staff, beverage and refreshment options. We review lead times and internal processes in order to allow carriers to produce equipment for shipments. We assist in reducing driver load and unload time at facilities by examining shipper processes and creating solutions. We identify reload opportunities within shipper network. This reduces deadhead for carriers, reduces downtime, makes planning easier while offering the shipper the benefit of captive capacity and pricing concessions. Our tendering technology puts shipment tenders in front of carriers more quickly to allow for additional lead time and ease of acceptance. Our Transportation Management System (TMS) streamlines, automates, and optimizes tendering, ease of tender acceptance, payment status visibility and reload opportunities. Our visibility tools keep track of shipments from pick up to delivery which takes the burden off of carriers.